TJ Mott was born in Norfolk, Nebraska, but was raised on a small cattle farm near the booming metropolis of Westboro, Missouri. He holds a Bachelor of Science degree in Computer Science from Northwest Missouri State University. 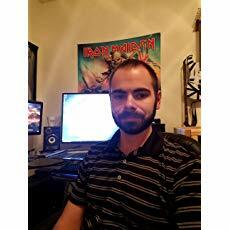 By day he works as a software engineer in Omaha, Nebraska. By night he sometimes does some writing, most recently in science fiction, which he’s wanted to do ever since he learned to read. His complete list of works can be found here. His Amazon.com author page can be found here.